For the first time, the announcement of the 2015 LA STAGE Alliance Ovation Award nominees will take place digitally on Thursday, September 24 on @ This Stage Magazine (ThisStage.LA). 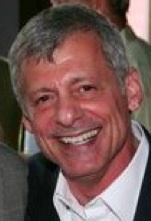 Said Brian Kite, Chair of the LA STAGE Alliance Board of Governors, “I’ll be online and ready for the nominee announcement along with everyone else. We’ll all find out together.” He continued, “This year’s ceremony will be thrilling, right in the heart of downtown Los Angeles at the beautiful Ahmanson Theatre. I’m looking forward to celebrating the incredible work of our community on November 9.” Variety is the media partner for the 2015 event. The LA STAGE Alliance Ovation Awards are the only peer-judged theatre awards in Los Angeles. Voters are Los Angeles theatre professionals who are chosen each year, through an application process, by the Ovation Rules Committee. The list of nominees is determined by a tabulation of scores conducted by Green Hasson Janks. More information about this year’s digital nominee announcement is forthcoming. Tickets to the 2015 Ovation Awards Ceremony will go on sale September 24 at OvationAwards.com. 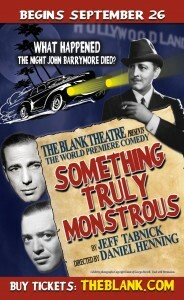 The cast and designers have been set for The Blank Theatre’s world premiere production of Something Truly Monstrous by Jeff Tabnick, directed by Daniel Henning. Preview performances begin September 26 with opening night set for Saturday, October 3, and the engagement will run through November 8. The cast will feature (in alphabetical order) Jason Paul Field, Amir Levi, and Jilon VanOver. Set design is by Chad Dellinger, lighting design is by Jeremy Pivnick, costume design is by Allison Dillard, and sound design is by Warren Davis. The stage manager is Samantha Else, and Something Truly Monstrous is produced for The Blank Theatre by Daniel Henning, Noah Wyle, and Sarah A. Bauer. Something Truly Monstrous is based on the Hollywood rumor that on the night John Barrymore died, Peter Lorre and Humphrey Bogart stole his body and went joy riding. On the day Hollywood finally killed John Barrymore, Jack Warner offers a studio contract to Peter Lorre, who is currently shooting Casablanca. Saddled with expensive tastes and a nasty drug habit, Lorre is tempted to sign. However, Humphrey Bogart explains the contract will force Lorre to play monsters in the B-unit forever. To ensure that Lorre will never give into this temptation, he decides to do something truly monstrous. Something Truly Monstrous was presented in The Blank’s Living Room Reading Series in 2013. During the run of Something Truly Monstrous The Blank Theatre will be partnering with the George Hurrell Estate. Hurrell was a photographer who made a significant contribution to the image of glamour presented by Hollywood during the 1930s and 1940s. Special activities will include a lobby display, discounts on purchases from the Hurrell Estate website, and a raffle for one of Hurrell’s famed photos. Preview performances begin on Saturday, September 26 at 8pm and continue on Sunday, September 27 at 2pm, and Tuesday through Friday, September 29—October 2 at 8pm. Opening is set for Saturday, October 3 at 8pm. The regular performance schedule will be Friday and Saturday at 8pm and Sunday at 2pm through November 8. 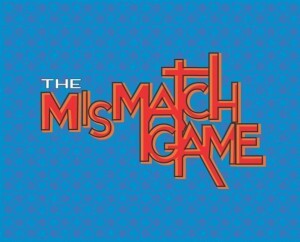 Tickets are $25 for previews and $30 for regular performances and may be purchased online at www.TheBlank.com or via phone at (323) 661-9827. The Blank’s 2nd Stage Theatre is located at 6500 Santa Monica Boulevard (at Wilcox), in Hollywood. 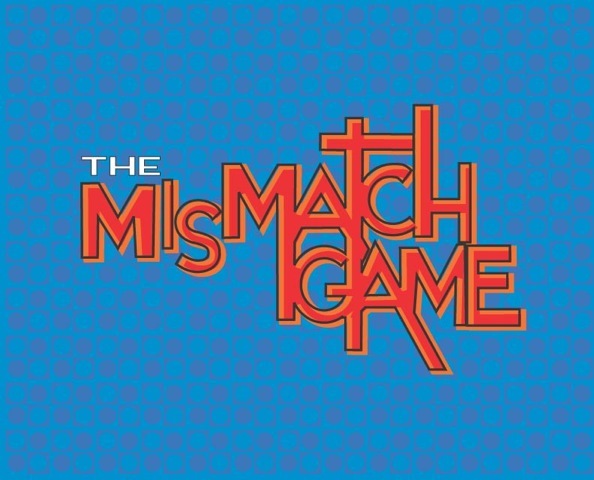 Casting has been announced for the upcoming edition of Dennis Hensley’s The MisMatch Game, the show the Los Angeles Times calls, “witty, ribald … an adventure in surrealist era bending.” The side-splitting parody of the 70s game show returns to the Los Angeles LGBT Center’s Renberg Theatre for two nights only, Saturday, August 29 at 8pm and Sunday, August 30 at 7pm. The cast on Saturday 8/29 will include (in alphabetical order) Patrick Bristow (Tim Gunn), Rachel Butera (Rosie O’Donnell), Tom Lenk (Zooey Deschanel), and Felix Pire (Ricardo Montalban). On Sunday 8/30 the cast will feature (in alphabetical order) Jackie Beat (Bea Arthur), Drew Droege (Tanya Roberts), Maile Flanagan (Danny Bonaduce), Nicol Paone (Arianna Huffington), and Marc Samuel (Prince). Visit www.lalgbtcenter.org/theatre for updates. General admission tickets are $15 and may be purchased online at www.lalgbtcenter.org/theatre or by phone at (323) 860-7300. Net proceeds from all ticket sales will support the full range of free and low-cost programs and services offered by the Los Angeles LGBT Center. The Los Angeles LGBT Center’s Renberg Theatre is located at the Village at Ed Gould Plaza, 1125 N. McCadden Place (one block east of Highland, just north of Santa Monica Boulevard), in Hollywood, 90038. Free onsite parking is available.